Today’s ravishing wedding comes all the way from the other side of the world, Maleny in Australia to be precise (*waves* to my Australian readers) captured on camera by globetrotting photojournalist Hajley Petein. 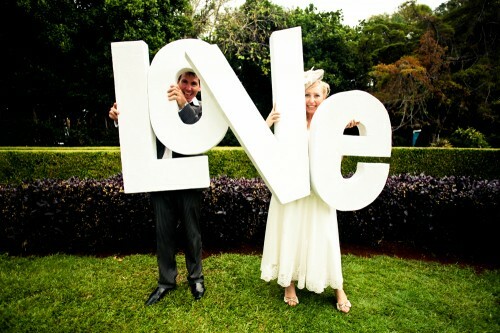 Sunny couple Mick and Jules filled their Australian garden Wedding day with nothing but Love – from family and friends as well as giant letters and small hidden notes. 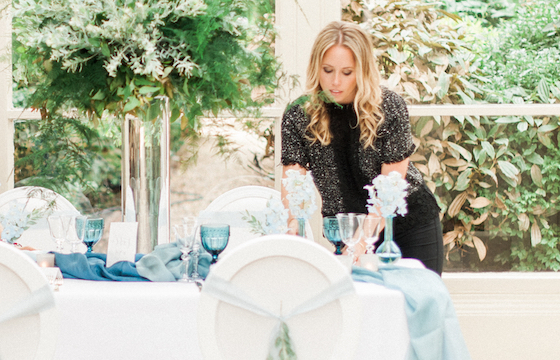 This was a beautiful garden affair with theme fitting boxes of herbs and antique touches of lace. 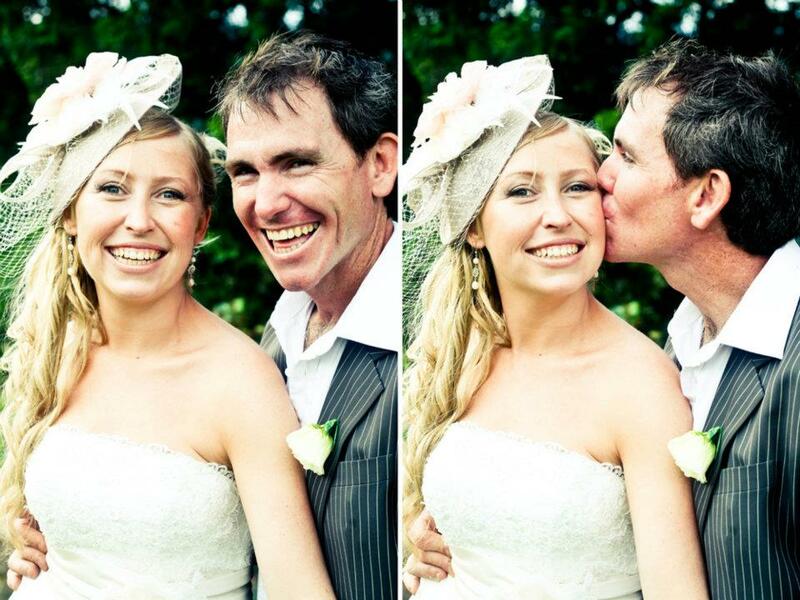 Jules found her dream wedding dress at Valentine Bride in Toowoomba, it was a Theodore Lee dress designed by Jacqueline Zhang. To suit the Australian garden Wedding setting, Jules wanted a tea length dress and worked with the designer to adjust the length and add some handmade flowers, turning the dress into something quite unique. Bride Jules has dubbed her choice of hair accessory a ‘hatinator’ (which I’ll be adopting in future) and it was a labour of love. Finding the hat in Australian department store Myer, Jules along with her talented assistant … her mother, added flowers and feathers for extra wow factor. 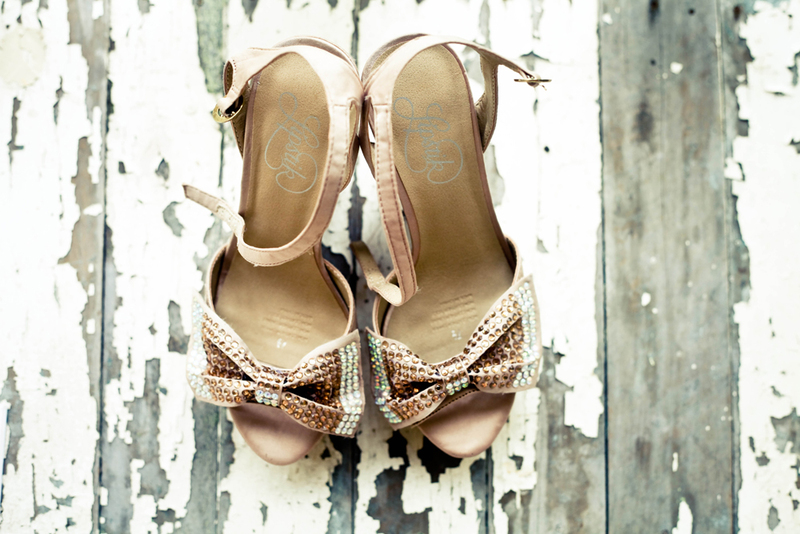 I am lusting after Jules’ blush tone, sparkle bow platforms – no wonder the bride chose a tea length dress with these dazzlers on her feet! Mick and Jules Australian garden Wedding was also heavily populated with flower girls and page boys, the angelic Ally, Milla, Riley, Sage, Finn, Lileana, Violette and finally Alexsander. 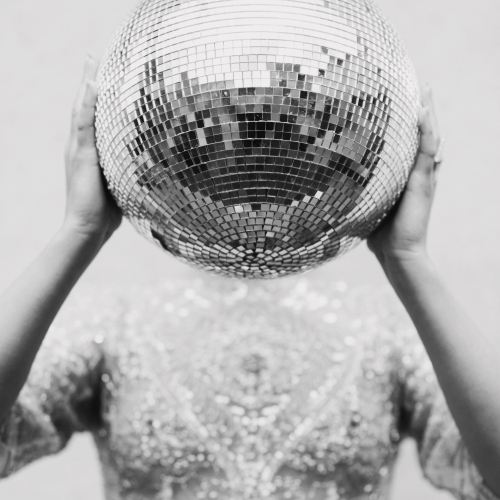 The girls were dressed in simple white dresses with shoestring straps and the boys in grey suits. 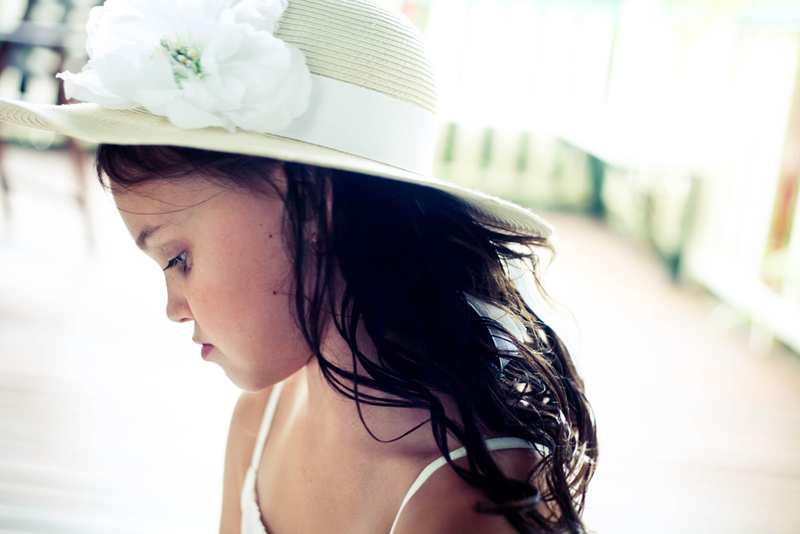 And don’t they all just look darling, photographer Hajley has really captured childhood magic with these stunning shots. 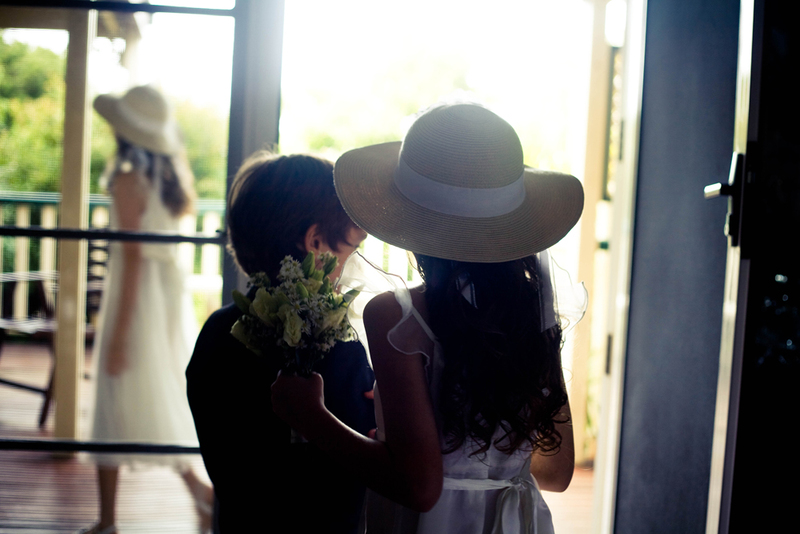 I particularly love the flower girls straw hats which remind me so much of the ‘The Secret Garden’. 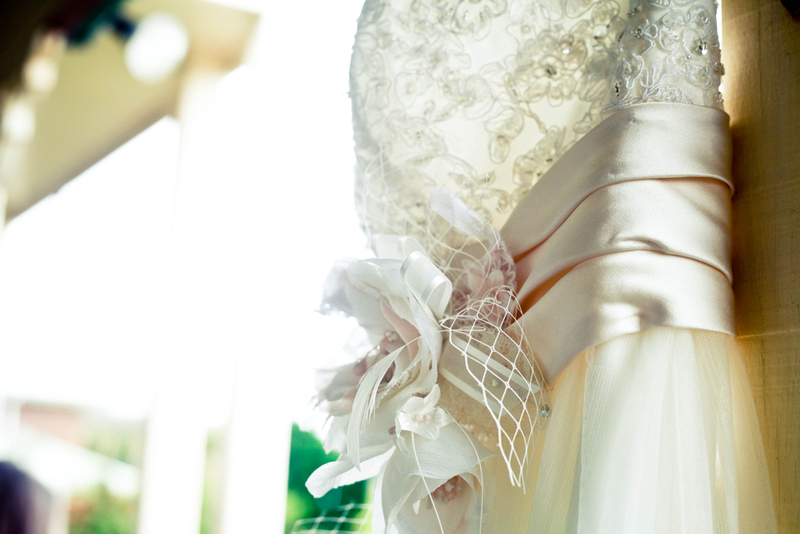 A beautiful alternative to flowers or headbands. Just like any dog owner the Cosgroves LOVE their dog Royal (cool name huh), she is a member of their family and they wanted her to be part of the big day. I did not have my dogs at the time of my wedding but if I was to marry now I would definitely include them in some way or another. 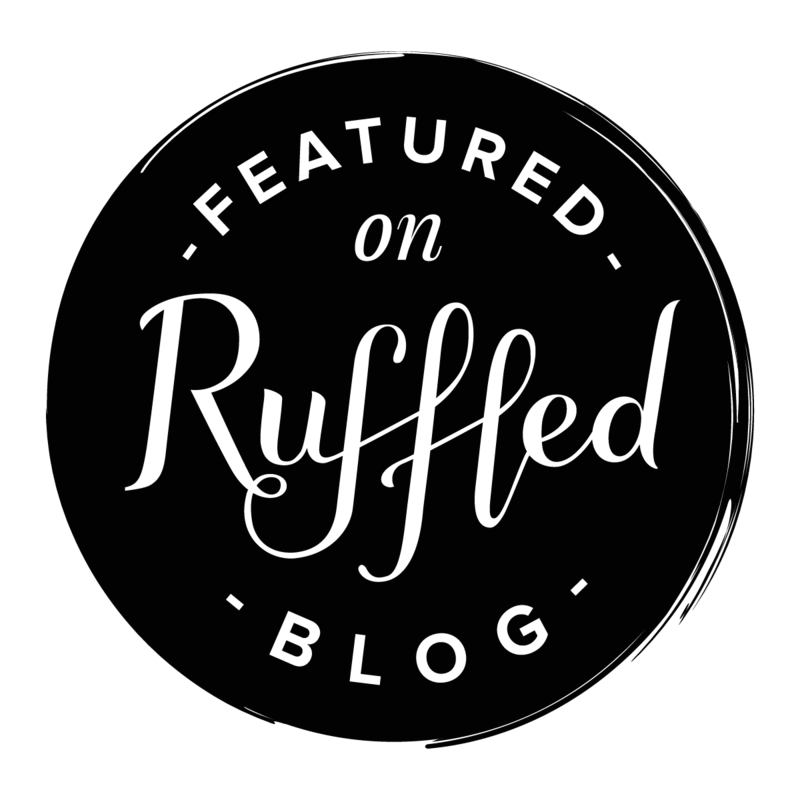 I was curious as to the logistics of having your pet pooch at the Wedding, so asked bride Jules to share her experience with the Bijou readers. There is some great advice and guidance below but if you have any other top tips please do leave a comment. 1. Have someone to look after your dog to ensure that they are looked after once the ceremony has finished. You don’t want to worry about the safety of your cherished animal after such an event. As we were in an open garden there was plenty of opportunity to escape. 2. Have a suitable location to house your dog – It had been raining prior to the event keeping her clean was somewhat of a challenge. 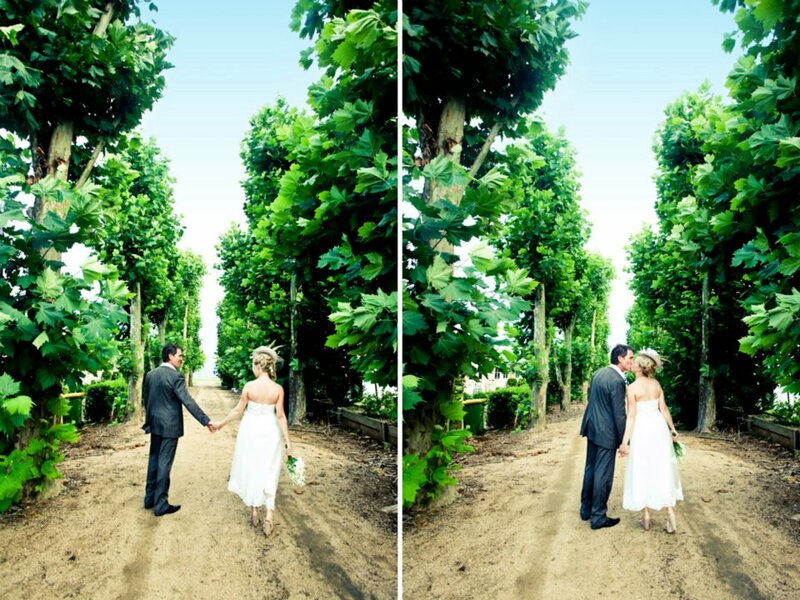 Ensure you have a place at your venue where she can be contained – away from the elements. 3. A dog is a dog! 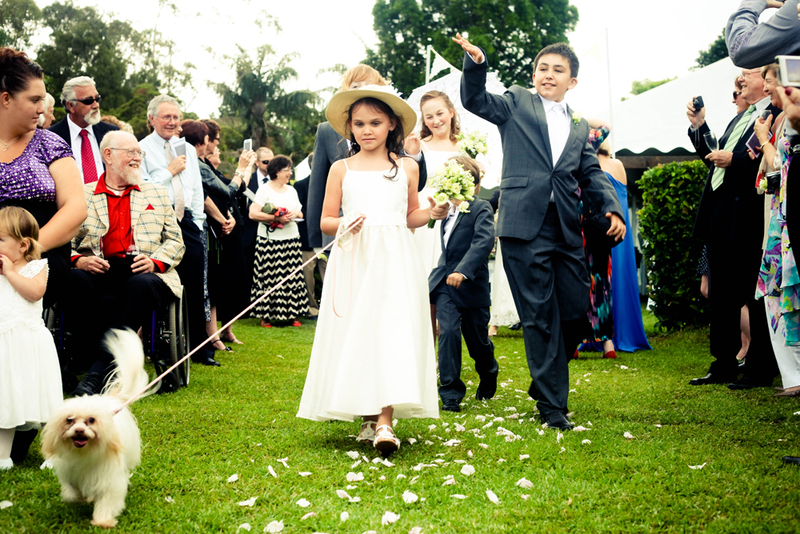 – Be calm and cool with the prospect of your dog not completely behaving throughout the ceremony. Royal barked a couple of times and wanted to sniff around and check everything out. Part of their nature! 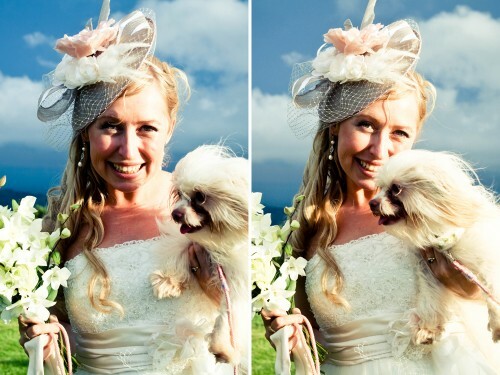 If you want to have your dog at your ceremony it is most likely going to be a more relaxed easy going environment. 4. Styling the dog – She was definitely going to have a lead so my mum created a themed collar and lead that attached to her everyday collar.